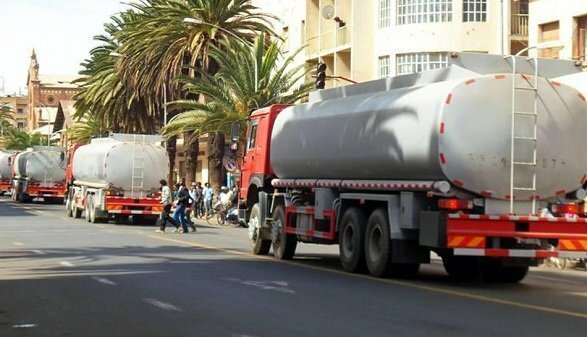 The adulterous fuel trade in the capital Addis Ababa and regional towns caused gasoline shortage in the past two weeks, a critical shortage of benzene in the past two weeks and creates complaints from drivers that they spend long hours at gas stations in the city. The increasing of illegal fuel trade is exacerbating the situation more than anything in the industry in the past two months and fuel stations are illegally selling gasoline to individuals are the basic reasons for the shortage. According to Ethiopia reporter news, it has become customary to see long queues at the fuel stations. Only a few stations in the capital are selling benzene and a large number of barrels of benzene have been caught by police in some gas stations in Addis Ababa. It is remembering Ethiopia and its neighbour had an agreement to construct a $1.55 billion fuel pipeline which stretches from Djibouti’s Damerjog to Awash in central Ethiopia The project due for completion in 2018 is said to ease transport burdens for landlocked Ethiopia which had been importing fuel from Djibouti by tanker trucks. Ethiopia consumes daily one million liters of benzene, 6.5 million liters of diesel and two million liters of jet fuel. The annual kerosene consumption is 260,000 metric tons. The consumption of kerosene is dwindling as the public is using electric stoves instead of kerosene ones. Kerosene has been used by illicit traders who are engaged in fuel adultery to mix it with benzene. One Response to "Adulterous trade creates fuel shortage"
Dear Broken editors there was grammar and vocabulary usage problems in this article. Is it possible to edit articles before they become distributed for international consumption ?